This is something I touched upon in a previous post, but thought I'd go into more detail because while it's easy to do it's not all that obvious. I didn't think of Pinterest as somewhere to promote my blog for a really long time, and then when I did I later discovered I was doing it wrong which was why it was bringing me no traffic. While Pinterest is probably never going to be your number one source of traffic, if you promote properly it can still get you a decent amount of views and potentially get your posts out there to a different audience than the people in your usual social media networks. Promoting on Pinterest does take a bit longer than simply tweeting a link, however it's worth the effort if you have time. I'd always recommend filling in your profile on any social media site you use. Other people can see you're a blogger and not a spammer which will increase networking opportunities. Don't forget to upload your profile photo, and add a link to your blog! 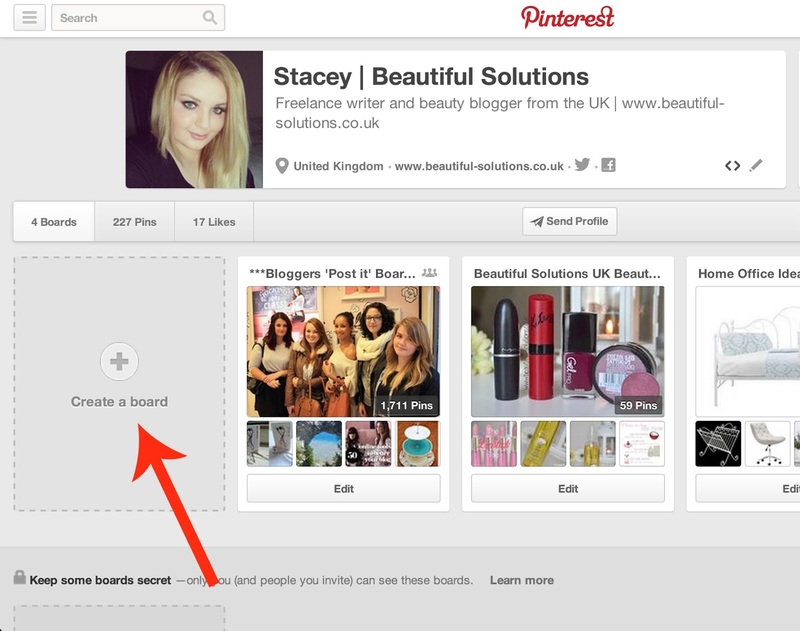 From your profile click the 'create a board' button, name it after your blog and fill in the basic information. 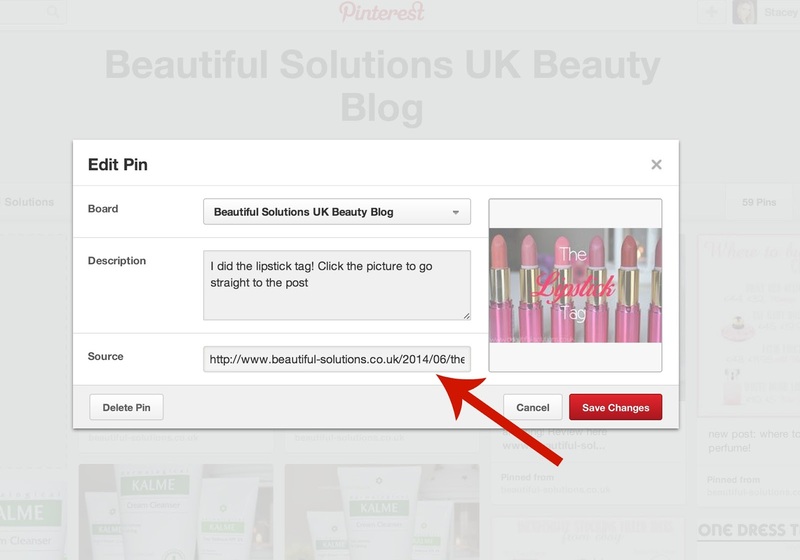 This keeps all of your pins (pictures) relating to your blog in one place. As a side note, creating other boards that aren't necessarily related to your blog will help you to grow your following, so it's worth making a few and pinning things you're interested in. It could be anything from recipes, hairstyles or home decor ideas to funny quotes. Upload the pictures from your blog posts to the board. It helps if you have large, clear photos as these are the things people are going to want to re-pin which will further increase the likelihood of clicking through to your blog. Seeing as Pinterest is purely visual, it makes sense to upload the best pictures you possibly can. 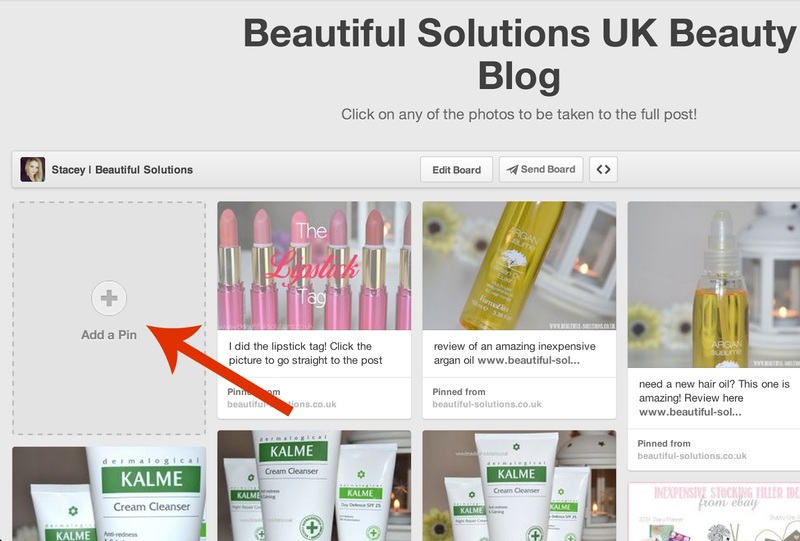 The more your image is re-pinned, the more people will see it and possibly click through to your blog. When you first upload a picture to Pinterest, that's all it is- a picture. If you click on it it doesn't go anywhere, and so if you simply upload your pictures and skip this step (like I was doing for ages) you wont get any traffic from Pinterest. Once your pictures have been uploaded, go back into your Pinterest blog board and hover your mouse over the picture until a little pen icon shows in the corner. You need to click on this which will bring up the 'edit pin' box. In the 'source' box at the bottom, add the link to the corresponding blog post. Now when people click on the picture they'll be taken straight through to your blog post. Having a network of other bloggers in your field means your content is more likely to be seen and re-pinned by people who are already likely to be interested in what you're posting. And of course following other bloggers will mean you get to see new content too. Ask people for their Pinterest links on Twitter, or next time you do a giveaway be sure to add a 'follow on Pinterest' option for one of the entries on the Rafflecopter. 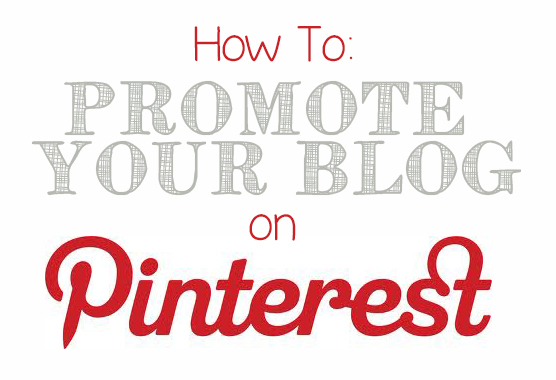 Do you promote your posts on Pinterest? Is there an easy way of adding the pin it button? I had a Google and all of them seem insanely complicated! I am after the image fade with the pin in the centre? I try to upload my posts to pinterest but always forget, I've just graduated so hoping to spend a bit more time doing things like this. I never thought of updating my profile, I've just added a picture and about me to mine so thank you! Might add more of my posts today too. I love having time to do blog stuff! Very informative! I have been using Pinterest to promote my posts for a while and I think it is one of the best social media platforms for blog promotion! Yeah I use Pinterest, I wasn't sure if I was using it the correct way to promote my blog but according to this post I am! I always wondered if hashtags work on Pinterest too though?